I appreciate that this album has been out for a while and has atained some prominence in the UK (plus more to come so I hear, but not sure if this information can be passed on yet!) – but rather than hide this in the Atlanta Review section I thought I ought to give this a place on its own. Ozara Ode was on the bill who I knew and it was great to hear her perform, but I was taking a break, having a look around, and then all of a sudden the quality of the performance, very Luther-esque, in the background captured me. I didn’t know who it was immediatley but soon found out that it was Alex Lattimore. Of course I knew many people that Alex would know, through Atlanta artists but particularly Jive, like Rhonda Thomas, Drea and Chanda Leigh, so that enabled introductions to be made and conversations flow. Well thats just a story and not much of a review, but suffice to say the album is excellent from start to finish which was quite rightly picked up on by the UK Soul crowd. Whether it is the qulaity ballad Promise or the uptempo Keep Risin to the top or the jazzy interludes the album exudes quality. A native of a city known for its great arts scene, Chicago, Illinois, Alex Lattimore is no stranger to the world of music. Serving as the male vocalist in the former Giant Step Records performing group Jiva, led by Khari Simmons (former bass player for India.Arie), Alex has been notably compared to the vocal styling of such artists as Luther Vandross and Will Downing. At the early age of 5, he began his journey with piano and trumpet lessons while also engaging in the youth choir ensemble at his home church. This led him to perform with a host of phenomenal groups such as the Chicago Youth Philharmonic Orchestra, Sherwood Conservatory Brass Ensemble, Roosevelt University Jazz Band, and the University of Chicago Chamber Orchestra. Alex’s musical journey continued in Atlanta, Georgia, serving as both a horn player (trumpet and flugel) and lead/background vocalist with a number of Atlanta-based acts. This platform allowed him to showcase his countless talents as a songwriter, arranger, instrumentalist, and vocalist. 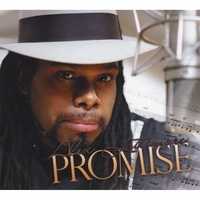 With his dynamic abilities, Alex was catapulted into opportunities to open for and perform with internationally renowned artists like Tina Turner, Luther Vandross, Michael McDonald, India.Arie, Earl Klugh, The Rippingtons, Groove Collective, Roy Ayers, Kindred The Family Soul, Loose Ends, and Maysa Leak. Alex’s trumpet and vocals have also graced the Julie Dexter and Khari Simmons Brash Music album release of “Moon Bossa”, the Atlanta based group “Jiva” with albums “Sun and Moon’ and “Day Into Night” as well as being a featured vocalist on the beautifully written duet entitled “The Matrimony” from Rhonda Thomas’ album “Breathe New Life” and title track “Once Twice” from the Bugs in The Attic album release “Back in the Dog House.” Alex has also collaborated with D.J. Kemit (formerly of the Grammy award winning group Arrested Development), releasing a single entitled “Rush Hour” (featuring Takana Miyamoto) which found its place on the P-Vine Records compilation “Sol Com Bossa”. Currently Alex is working with the Ananda Project under the direction of Grammy nominated producer Chris Brann. Excerpts from these projects have been widely reviewed leading to a highly anticipated solo release. This entry was posted in Reviews and New releases and tagged alex lattimore, promise. Bookmark the permalink. Yes I remember you. Good review! When will you be back stateside?